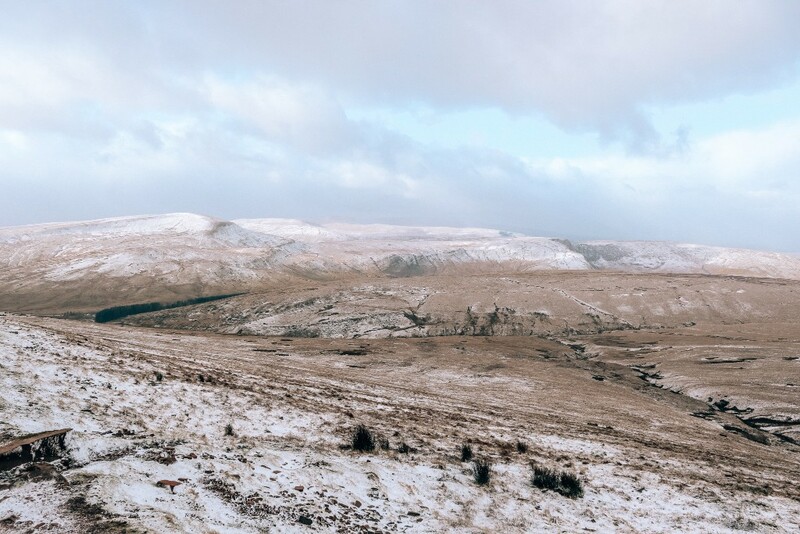 Only a 3-hour drive from London, the Brecon Beacons are often overlooked as a destination with adventurers heading for Snowdonia in Northern Wales. With plenty of hidden hikes, cosy pubs and gorgeous views, you don’t have to take a day of holiday leave to spend the weekend in this National Park! The Brecon Beacons is located in South Wales, just North of Cardiff. If you are a weekday city dweller like me, you can easily drive there straight from London along the M4 in under 3 hours. It’s only the beginning of 2019 yet I’ve still managed two weekends in the Brecon Beacons, both of which I’ve left for Saturday morning and been back in time for Netflix naps on Sunday evening. And if you really want to make a trip of it, you can always drive over straight after work on Friday. 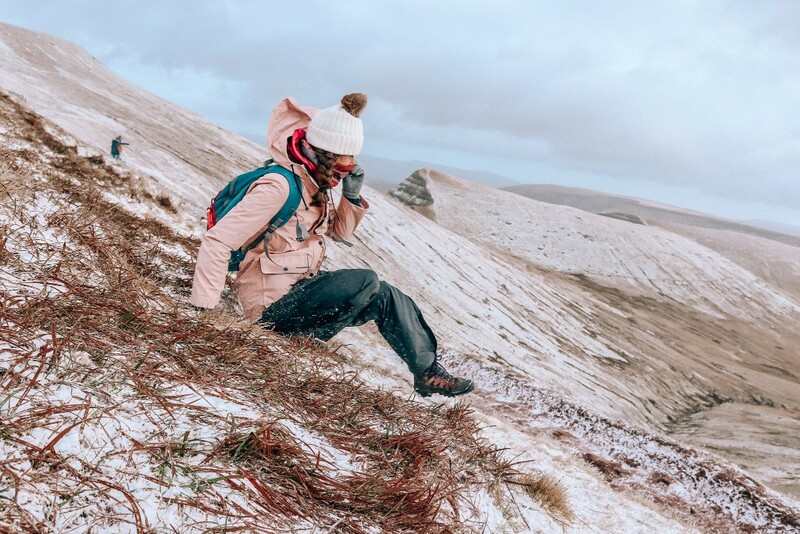 There are plenty of accommodation options in the Brecon Beacons which, as always, depends on how adventurous you are feeling (and when payday is!). Each time I’ve been I have booked accommodation last minute to ensure the weekend weather is suitable for hiking, and never encountered any problems finding somewhere to sleep. If roughing it in a tent fills you with excitement there are lots of campsites to choose from, a quick search on Campsites.co.uk should help you filter through and find you the best tent view to wake up to! Many privately own farms charge a small fee for you to wild camp on their land, which ensures you have a practically isolated nights’ rest. Be sure to check the temperature before setting off, as waking up to a snowy tent isn’t for everyone! If the idea of sleeping wild excites you but the thought of a roll mat doesn’t then you can celebrate with me for the uprising of converted shepherds huts! 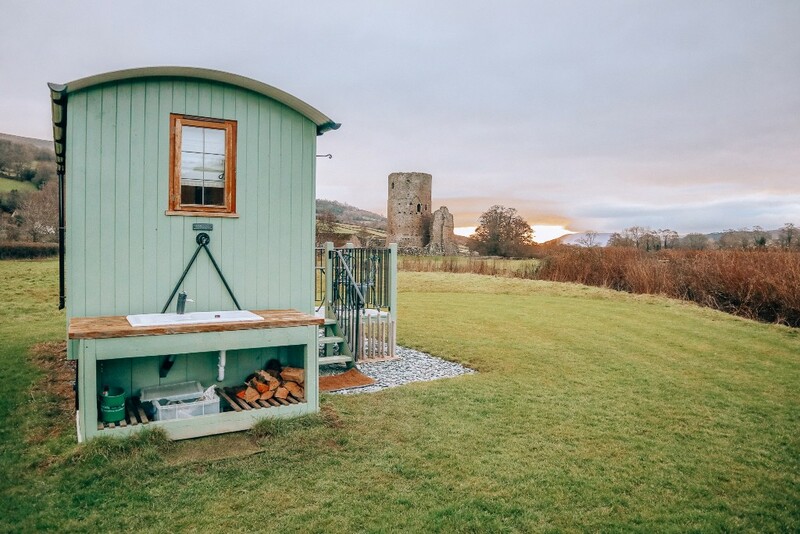 In January it was far too cold for my toes to sleep under the stars but I still wanted a wilderness experience – enter the shepherd’s hut. These freestanding beauties meet all your basic needs (warmth, bed, pillow, toilet seat to sit on instead of squat) yet also allow you to wake up with the sunrise to the sound of chirpy birds. 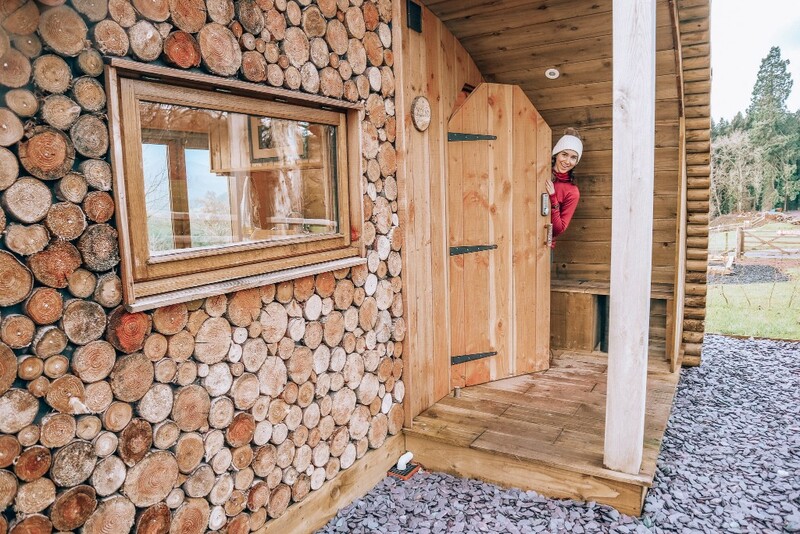 No central heating or Wi-Fi means you are back to (somewhat) basics and will be lighting your own log burner, collecting firewood to warm your breakfast upon and doing the dishes outside. 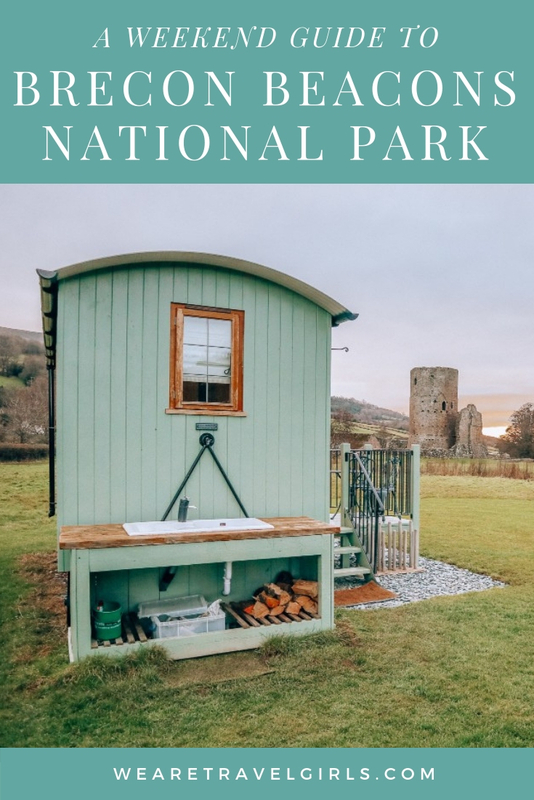 Make sure your shepherd’s hut has a warm shower for your post-hike reward. Log cabins offer a slight sense of adventure while not retreating as far as sleeping in a hotel or cottage. 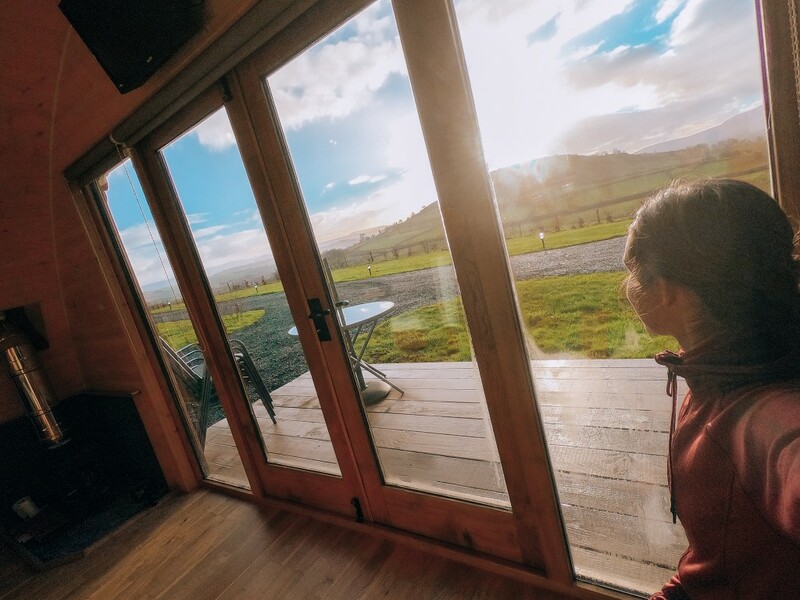 I recently stayed in a cabin at Glamping 68 Degrees West, located in the north of the Brecon Beacons National Park. The cabin consisted of one cosy room with a kitchenette, log burner, and two double beds that folded out from the sofa and breakfast table. There was no central heating or Wi-Fi here either so perfect for a cosy night in the hills, at a far cheaper price than a shepherd’s hut. The bathroom was a 30-second walk away (which can be painful on a winter’s morning!) but this campsite had AMAZING facilities with luxury bathrooms, making the dash through the cold totally worth it. 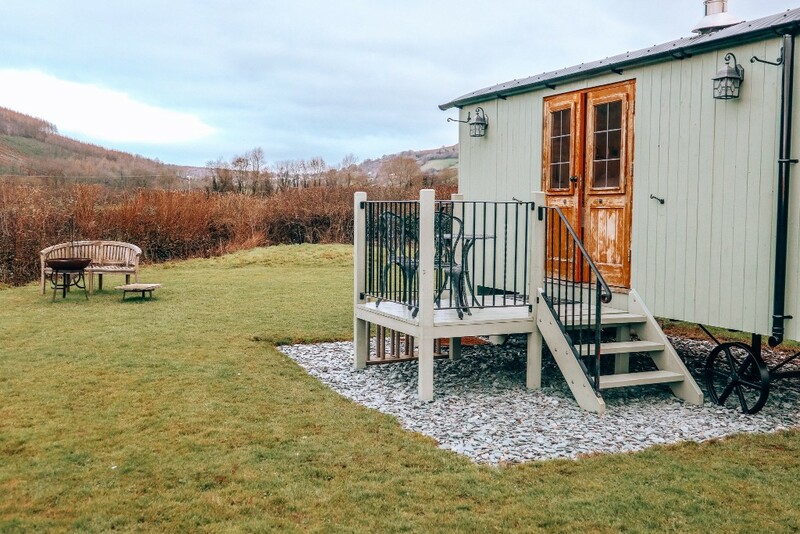 For a full breakdown of the shepherd’s hut and the log cabin that we stayed in, click here! The only opposition you will face in Wales is the weather, one day may be glorious blue skies while you’re sweltering up a mountain while the next is grey drizzles. We found ourselves with the later upon arriving in the Brecon Beacons so had to come up with plan B as there was no point ascending into the cloud on the peaks hike. 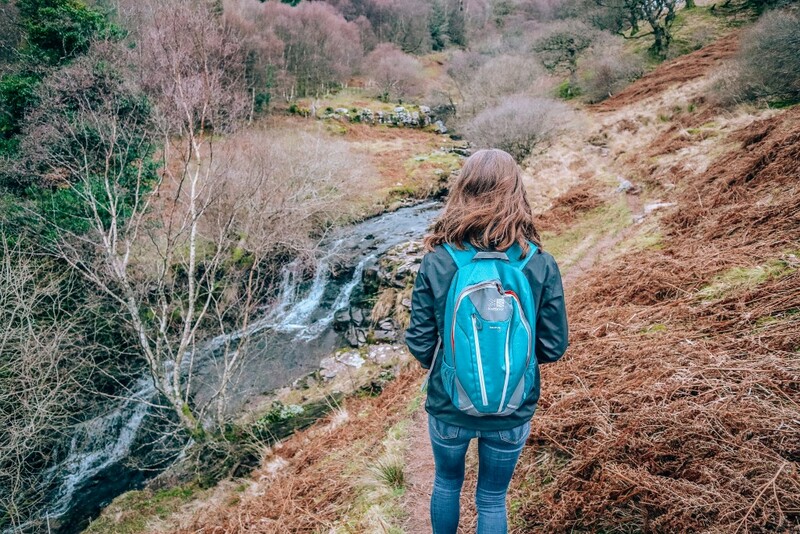 Plan B – a waterfall valley hike (Blaen y Glyn Isaf) turned out to be such a hidden gem, and we spent the afternoon completely isolated with views of the peaks all to ourselves. The weather quickly lifted as if to congratulate us for not giving up and retreating to a pub. 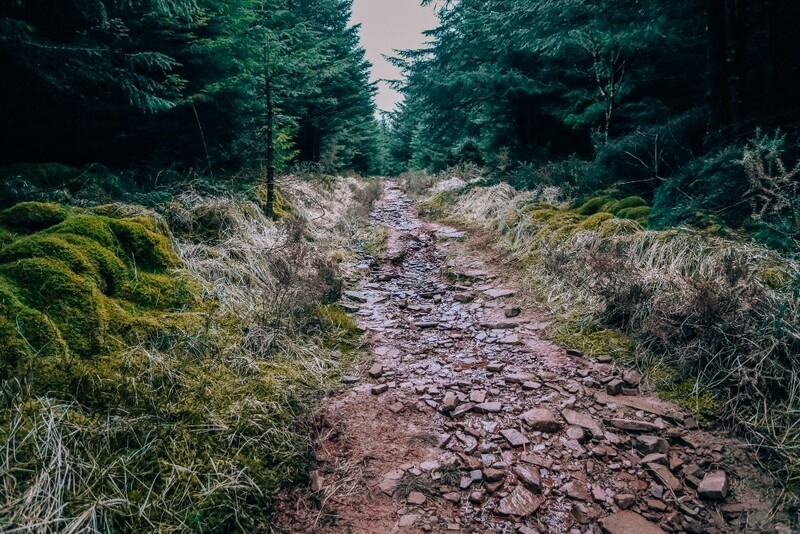 The trail itself starts from an easy-to-find carpark, you meander on the trail through the woods until you reach the stream which you cross and begin to head uphill. The route follows the stream for the first half, and you will find yourself on narrow ridges, ferns on one side and waterfalls on the other. Be sure to stop and look back to admire the view through the valley, making out the peaks in the distance. Eventually, you will reach an old camp, with the remains of stone walls and a campfire (the only evidence of humans on this trail). At which point you hop across the stream, making your way up onto the moors. Following the path towards the woods, will see you surrounded by peaks with a somewhat eerie feeling of being alone on the grasslands. (We thankfully met no one on this walk, only a few passing sheep). The remainder of the route takes you down through the woods and back to your car. There is a particularly steep descent in the final stretch of the woods but this can be easily avoided if you stop to read a map, unlike us. 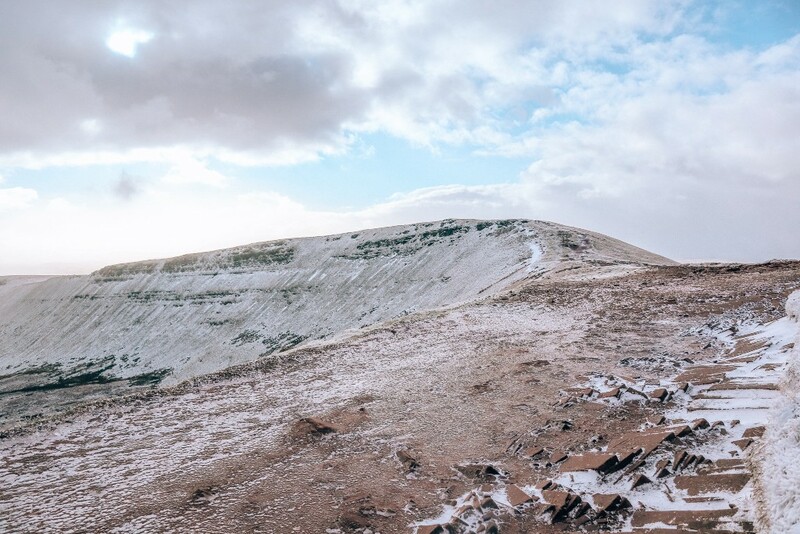 Corn Du, Pen-y-Fan, Cribyn and Fan-y-Big, despite being hilariously named these are the big peaks of South Wales with Pen-y-Fan triumphing as the greatest peak you can summit (FYI there’s also a hill called Fan-y-Fach, just for the giggles). The simplest route to navigate allows you to summit all 4 in 4 hours, taking 15km with 1339m ascent. It starts in the Pont ar Daf car park and is a circular walk to maximise the views. Taking the footpath North East from the car park, out of the woods, you cross the stream and begin your ascent of Corn Du. 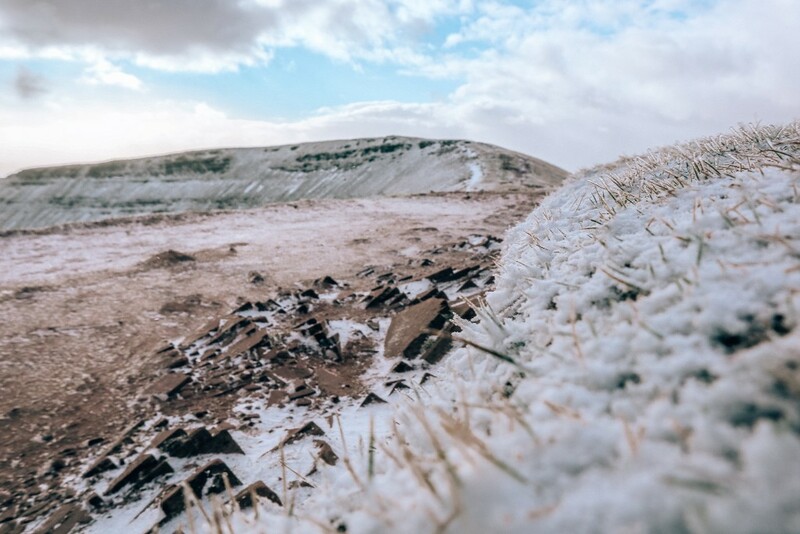 Once summited, turn right and follow the path towards the Pen-y-Fan summit. After 3km you will reach the highest peak in South Wales! Next, at the Pen-y-Fan summit turn right, following the descending path until you reach a junction. Signposts should lead you left and up your third peak of Cribyn. Continuing along the path here will lead you to Fan-y-Big where you will have to backtrack slightly after stopping to celebrate your fourth peak and re-join the path at the crossroads. Follow the path south until you reach a tarmac road, which you cross and continue on the footpath around the reservoir. You should find yourself on yet another steep incline with the reservoir on your right whilst you are on the ridgeline. After 4km you will eventually re-join the original car park path, and can relax as you follow it downhill with the sense of accomplishment of tackling 4 peaks in 4 hours! Side note: The above route is perfect for a spring or summers day but be warned if you attempt it during the colder months – we only managed to get halfway in January during to strong winds so had to skip the ridge by following the declining path all the way to the nearest warm pub! See How Not to Hike Pen-y-Fan! 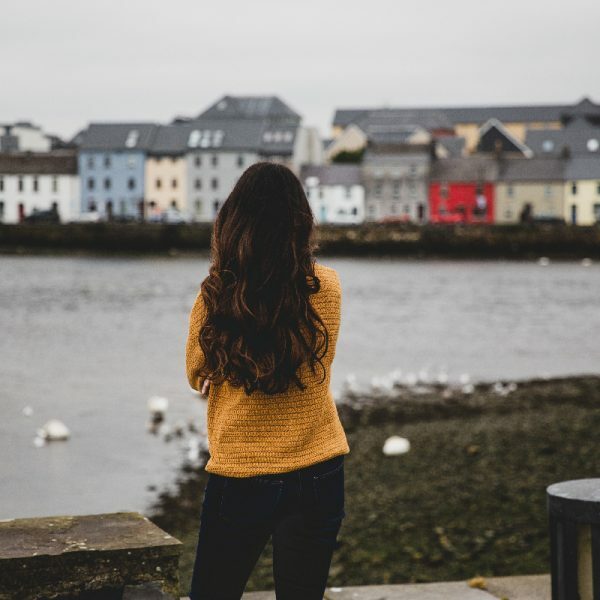 There are countless cosy pubs in Wales and the easiest way to find one is simply asking for a local recommendation. We were staying near the village of Crickhowell and had a fireside table at The Dragon Inn which included an entire veggie menu. Nothing beats a cosy fire and warm pub dinner after a day spent in the peaks (especially if you’re camping and need to heat up before returning to your tent!). 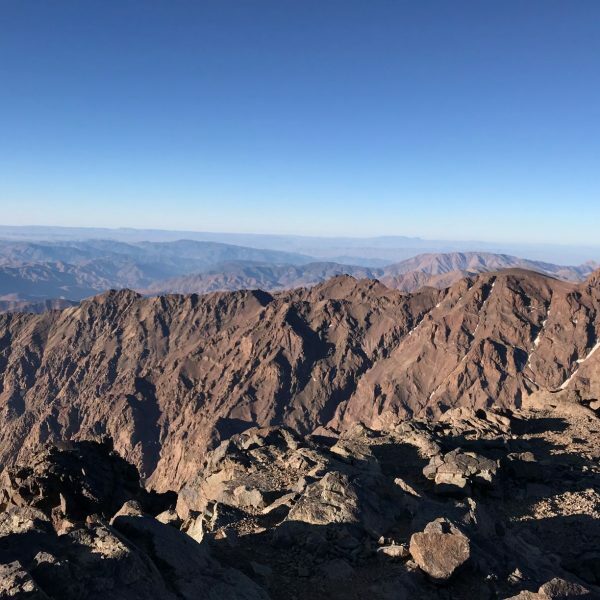 Trainers: If you are planning to summit the 4 peaks you can do so in trainers as it’s not too technically difficult, however, I would always wear my sturdy hiking boots to prevent a twisted ankle ruining my day. Layers: Base layer, fleece, hoody, raincoat are all needed as standard and be sure to bring a hat and gloves for the summits as even in the height of summer the wind chill can make it feel like the arctic. Food and water: While you can eat out for dinner in a local pub, you won’t want to waste your days searching for lunch when you could be up the peaks. Save time by bringing snacks and packed lunch with you, even if it means picking it up from a petrol station as we did. Printed map: it’s always a good idea to have a map you can hold for moments when phone batteries run out, or signal is lost. 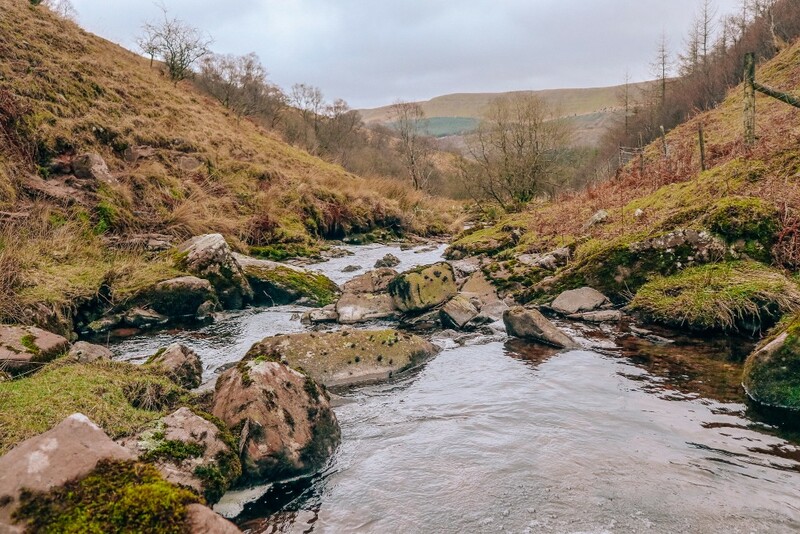 The Brecon Beacons is no different, on our Waterfall Valley walk we didn’t pass anyone so naturally, no one would know if we took a wrong turn and ended up drifting downstream. It’s cool to carry maps plus easy to print off on Friday at work. Camera: just because there’s no Wi-Fi where you’re sleeping doesn’t mean you can’t still capture the moments! When hiking, the lighter the better camera and a GoPro or phone camera holds memories just as well as a heavy DSLR! 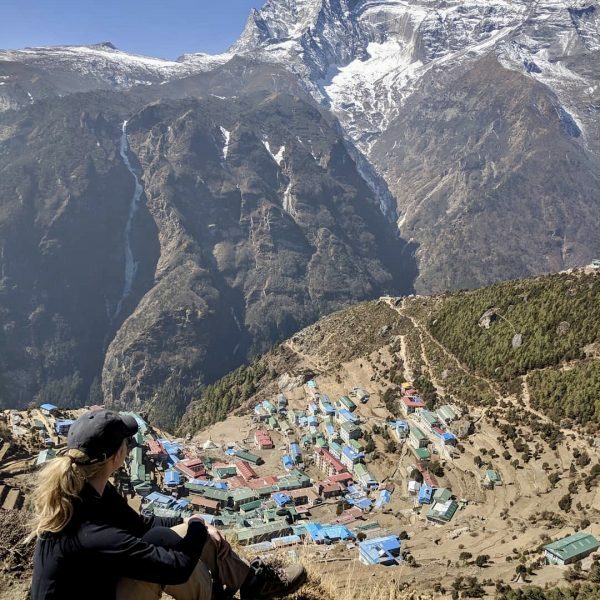 Adventurous trips away don’t always have to involve a plane ticket and taking time off work, so be sure to add it to your 2019 bucket list. 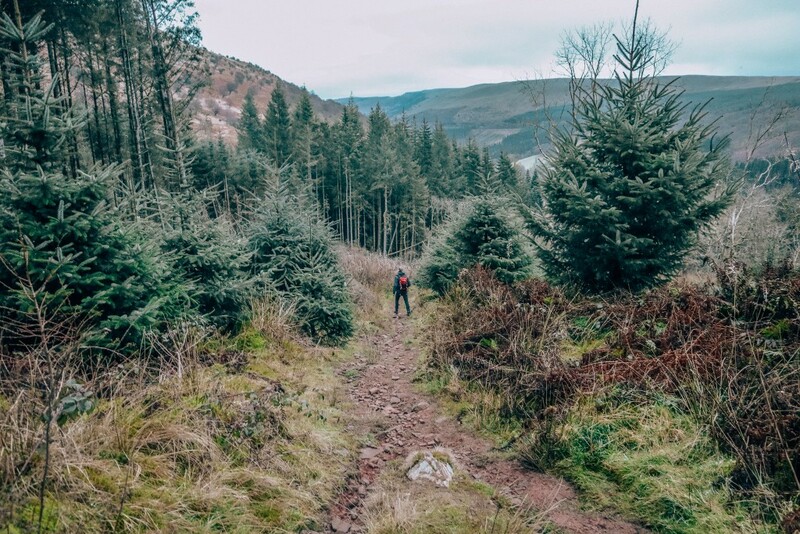 Grab a friend and head to the hills in Brecon Beacons! 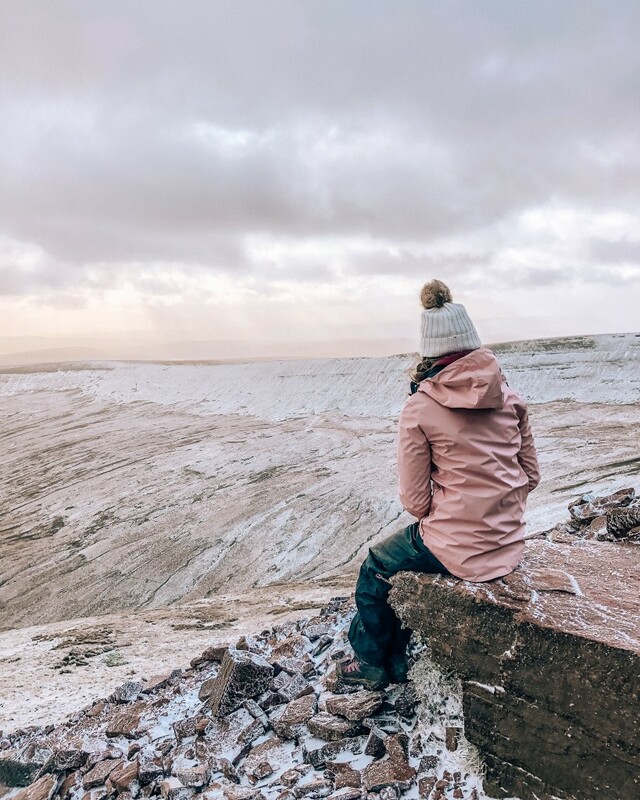 We hope that this article has inspired you to visit Brecon Beacons. If you have any questions about the destination or have your own travel tips to share please leave these in the comments below. Are you planning on a trip to Cuba. I want to go for my bday in November.